﻿ About Naya Nayon, design, production and sales of quality hammocks in Ecuador, South America. 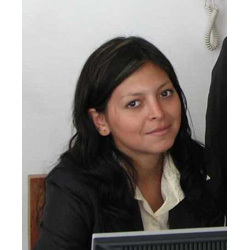 Naya Nayon was established in the year 2000 in Ecuador by a Dutch forest engineer. 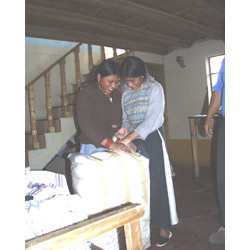 Naya Nayon has its office in Quito, Ecuador and a stock in Wageningen, The Netherlands for distribution in Europe. We are specilized in two of the most beautiful products of Ecuador: hammocks and tagua. For more information about us, see: Naya Nayon. 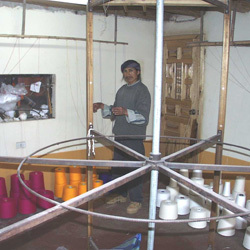 Naya Nayon designs, overlooks production of and controls the hammocks. 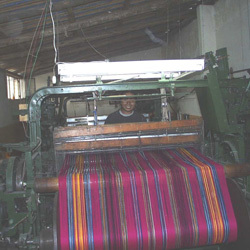 Thiss is since ages a textile producing region. Each hammocks is controlled by us on over 20 items (cloth size, quality of the cloth, borders, cords length, braiding of the ears, stains and so on) before accepting it..
A Naya Nayon Hammocks is a quality product stemming from a tradition of over 500 years of weavery. Hammocks of Naya Nayon are quality hammocks. As said before each hammock is checked extensively. The proof of the hammock is in its use and that we have good hammocks is proven by the fact that the return rate of our hammocks is under 0.1 %. 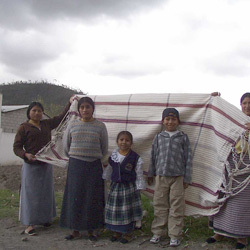 We have sold in over fifteen years more than 40 000 hammocks and less then 40 or less then 0.1 % have been returned. In other words over 99.9 % of our users are happy hammock users. In our webshop we offer a broad range of hammocks in design, sizes and colors. 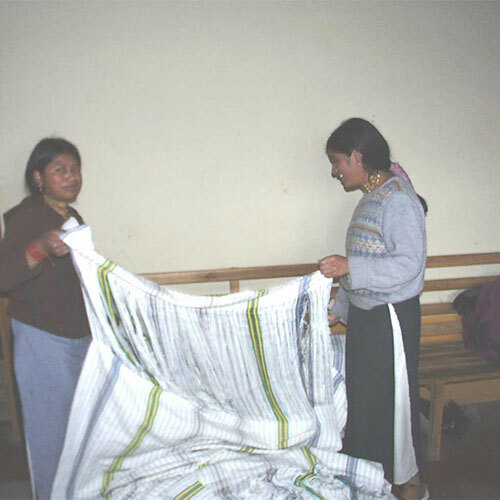 We ship directly from Ecuador or from our warehouse in The Netherlands. Naya Nayon is a unique concept. As Naya Nayon is in fact the whole chain from weaving till sale to the consumer at once, there is only once middleman between the weaver and you: Naya Nayon. Shorter the chain cannot be. That's why we can offer quality hammocks, fair trade for a very sharp price. Looking for wholesalers. As producer and distributor of hammocks, we are looking for agents, importers, distributors, webshops and shops. If you are interested in selling our hammocks, let us know. We have very interesting wholesale prices and offers.